The Link itself. 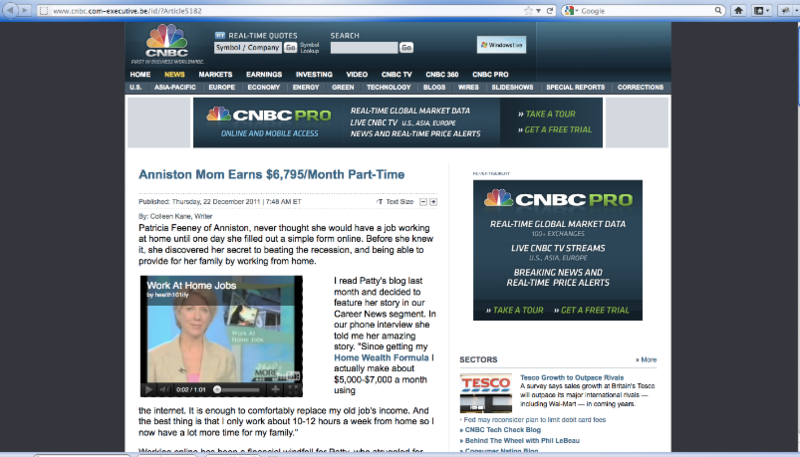 You will notice at the top the link starts out with cnbc.com, but the "-executive.be" after it already tells you that you are NOT on the CNBC website. Notice the title of the article says "Anniston" mom. well guess what? Anniston is south of me, and the IP I was using on my laptop when I visited the site automatically inserted my general city there so that it almost appears as if this is happening right here in my neighborhood! If it happened to someone else it could happen to me too, right? Oh this is getting good. They have the look, they have the convincing video, and now it is local in my area! It must be true! BUT IT'S NOT TRUE! Steps - So next comes the steps which is why the site is designed to look sophisticated to get you to the point that you forget it's a scam and you follow the links and sign up. 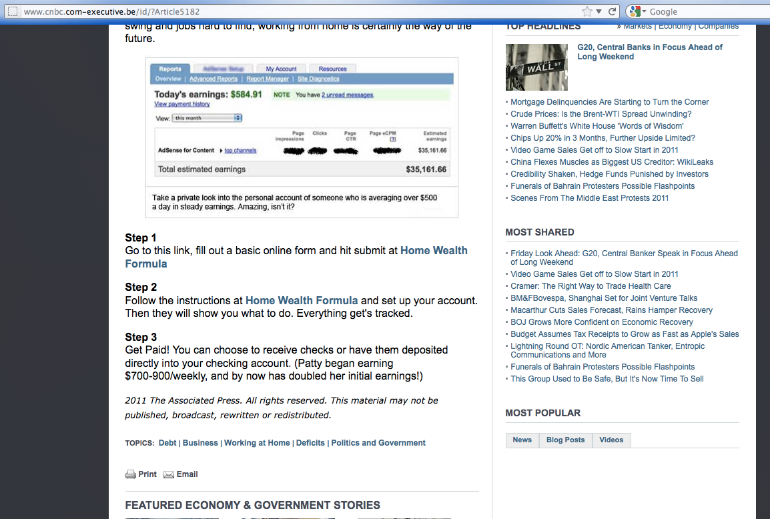 The link in those steps will take you to the actual site being marketed so they can get you to fill in your info and WHAM! You have been tricked!